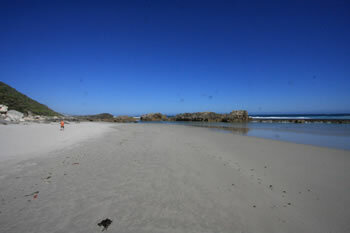 Anvil Beach is a beautiful beach on the southern side of Nullaki Peninsula on the Great Southern Ocean. It has white sand and a fresh sea breeze, constant surf and plenty of space. The Nullaki Peninsula is the southern boundary of the Wilson Inlet. 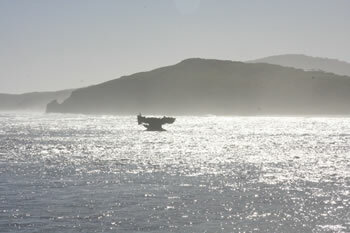 From Anvil Beach there are spectacular views west past William Head and out over the southern ocean. Located south of Denmark, take the South Coast Hwy East towards Albany. Turn right on the Lower Denmark Road and immediately right again on Eden Road. Anvil Beach is plotted on the Map of Denmark and the Wilson Inlet to help you get your bearings. Safety: BE VERY CAREFUL IF YOU SWIM HERE. Extra large waves and rips are VERY common to this area. Watch children at all times. Anvil Beach wraps around a headland and curves in a wide arc along the bay. 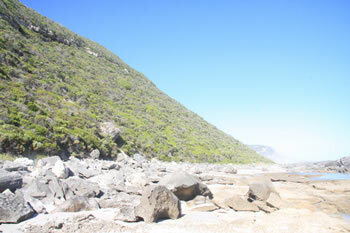 It also extends to the east over a rocky headland to the other side of Anvil Beach. The stairs down to Anvil Beach are steep and sandy. Anvil Beach is a beautiful example of the wild western australian coastline with rugged cliffs and heathland, plus beautiful white sandy beaches. If this helped you, FOLLOW US ON FACEBOOK to show your support! 100% Australian locally owned & operated. Special thanks to the genius of Uplift Design for making this site possible. Website Design and photography by our family of five living in Denmark WA, in the heart of the Rainbow Coast. This website is for informational purposes only and is a travelogue, weblog and a resource for visitors to the South Coast of WA in the Albany Region, Denmark Region & Walpole Region. Important notes: all website photographs are copyright protected, are editorial in nature, are not for sale and may NOT be used without written permission. Maps of the South Coast coded using technology from Google. Videos are intended for educational & documentary purposes and are streamed by YouTube. Other amazing locations in the South-West of Western Australia! The Rainbow Coast is a national biosphere area and deserves our care and respect, please try to reduce your environmental impact when visiting the coast. Your safety while visiting the region iis your responsibility, please obey the signs and be careful. THANKS FOR VISITING!